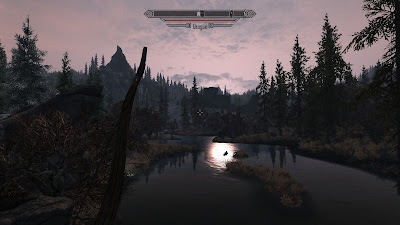 I've spent a lot of time in Skyrim since it was released, and generally have been on top of the mods scene as well. I'm going to share with you all the mods I use, which affect graphics and gameplay. 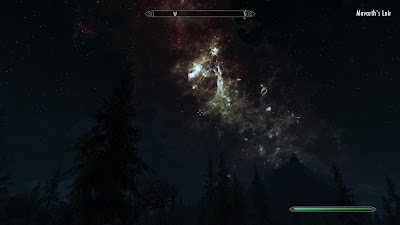 I always like to keep my game as "vanilla-ish" as possible, so this means no drastic ENB series injector mod to totally change the way the game looks, nor do I use huge mod packs like Titanis and PISE. I like to pick and choose what I install, and only things that flow with the game. Basically I go for "enhanced vanilla" instead of "check out this new game". Note about screenshots - I took them with all of these mods installed, with the exception of Skyrim HD 2k. Before getting started, I highly recommend downloaded the Nexus Mod Manager, which makes installation of most mods extremely easy. Most downloads have at least the ability to be downloaded with NMM, and some have special installers for it that are even better. You can also find many mods on the Steam Workshop now, but personally if I find a mod on Nexus instead, I prefer to use that one. The Workshop just isn't quite as easy to use right now - there isn't even a search function. Also, some of these mods require "SKSE". Follow the links from the mod itself. Essentially, you just have to copy the exe and dll files into your Skyrim folder, and then NMM will detect it and you select SKSE as your launcher from NMM. I believe some of the inventory mods require it. This mod basically rebalances Black Smithing. It tweaks recipies a little bit, and gets rid of certain things, adds craftable arrows and even Skyforge items. However, this mod is meant to be used with the following for best results. Basically this mod just adds new recipies like Imperial, Stormcloak, Falmer, Silver, etc. These are all present in the game already, but many were not craftable. It also requires you to unlock access to certain recipies, for example once you are Thane of Whiterun you can craft the Whiterun Guard items. These two mods are also meant to be used with the next one. 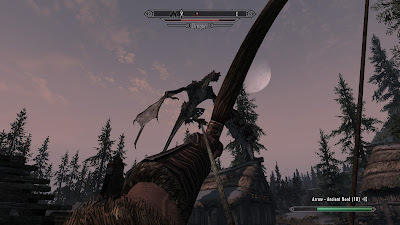 According to the download page, many weapons had inconsistencies which caused issues, like the Orcish Waraxe considered to be made of iron and a 2 hand sword considered a 1 hand sword which breaks your perks. Unfortunately, Complete Crafting Overhaul does not yet feature the ability to melt down items, so you're going to want this one. It is a planned update to CCO, but in the meantime Vals has you covered. Make sure to get the "no arrows" version if you use CCO. This is a really great mod. At this time, it adds an astonishing 47 new weapons to craft! For the most part they will have "standard" attributes so they are as balanced as anything. For example there might be 4 varieties of 2h swords but they all have the same stats, and are similar to a vanilla item. Unfortunately it doesn't seem that there is yet a good armour version of this mod. I'm actually fairly new to this mod, but it can be summed up as a mod which adds a lot more combat opportunities to the game. Basically out in the wild there will be more spawn points for certain deadly creatures from bears and saber cats to huge trolls. It also adds more faction battles, random bandits walking around, and other fun stuff. It comes in different flavours too so you can add the "rainbow" version for a very slight change, up to the Dark Age which makes the game extremely difficult. This mod does change gameplay balance, though, so make sure you pick the difficulty that you prefer. 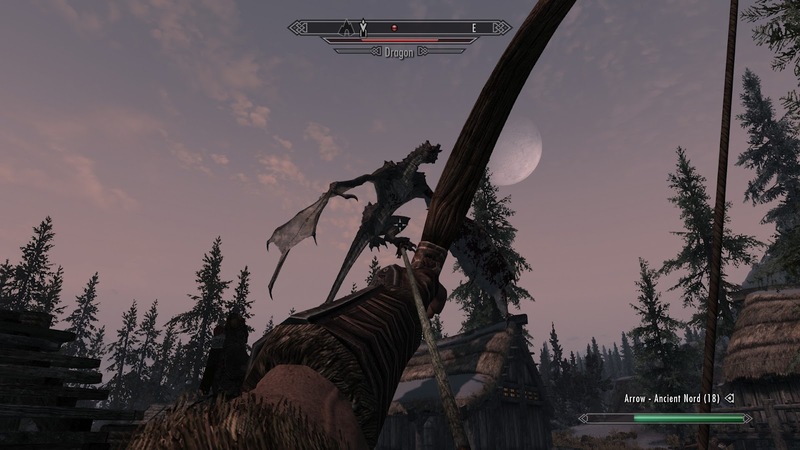 This mod also features many sub-mods like better Werewolves and Vampires, Realistic Combat, NPC Perks. I personally don't use most of those, as I cover some of them with unique mods. 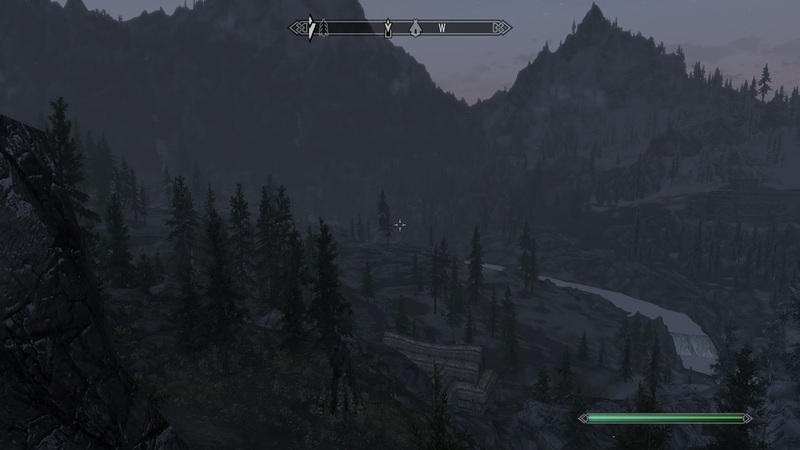 This mod just tweaks combat in Skyrim, adjusting stagger, knockback, block, and other things. So far I find melee combat to be quite engaging so it must be working well for me. 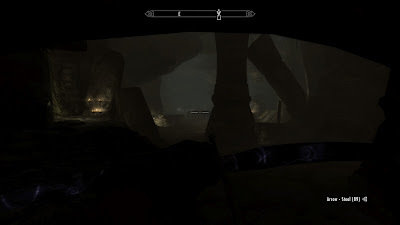 You can also try the combat addon from Wars in Skyrim, but I like that this one is very up front with all the tweaks. This is a complete magic life saver. 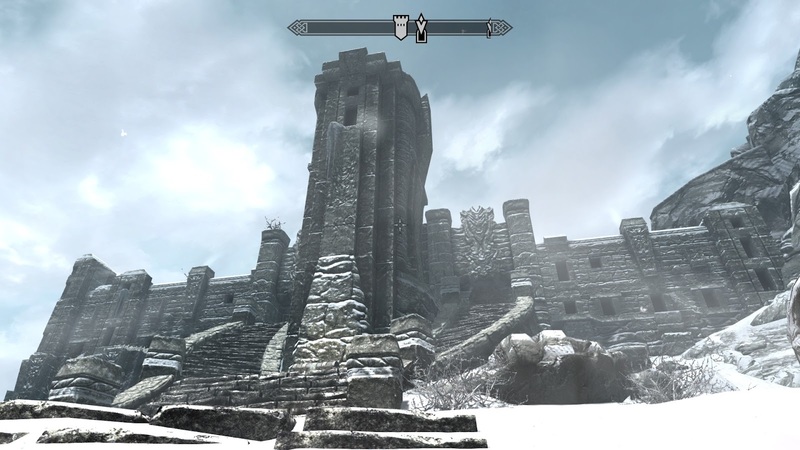 The default magic in Skyrim was very lacking in variety, and this fixes it. Tons of new, unique spells are available for purchase. Personally, I thought vanilla magic, balance wise, was fine so I'm not going to incorporate any "magic fixing" mods. My level 46 destruction mage is a total boss even on Master, so yeah, I don't really have interest in boosting magic scaling and such. Midas Magic just adds spells. From the description: "Merchants from all across Skyrim can now profit from the Dovahkiin's adventures. With this mod the amount of gold that a merchant has depends on how much you trade with them. Buy or sell expensive items and the merchant may have extra gold when you next visit. Most shops will just recieve extra gold when they are profitable, but blacksmiths will sometimes receive extra ingots and alchemy stores can receive extra potions. Some merchants also receive rare items after their store has received high trade volume." Enough said. This mod is amazing. Basically it makes categories on the top of the screen, and overall it's much improved from the vanilla menu system. This UI mod takes over your inventory. It adds nice icons on top for sorting, plus lets you sort items by name, stolen, value, weight, and more. Just makes the inventory (and magic) screens much more friendly. This is a great mod that makes you favorites menu appear full screen with categories. So much better than scrolling through a tiny window to find just the right item or potion. One note on this, you'll need to modify the config file depending on your resolution. See the mod description (follow link) for details. This mod renames many, many items so that they sort better. For example, all arrows will go from "Iron Arow" and "Steel Arrow" to "Arrow - Iron" and "Arrow - Steel" this way they are grouped together when you sort your inventory. Applies to books, food, potions, soul gems, and more. This simple mod just makes the map much clearer. It actually comes in a few varieties, including only main roads, all roads, with or without clouds, and even a nice "paper" style map option. This is a really great mod, as it makes all the thunder sound effects much more authentic. This is basically just a simple physics mod, which adds a nice sense of realism to objects and corpses. This is a very simple mod, adding the sounds of seagulls near the ocean. This will be obsolete once the following mod is finished completely. This mod will eventually enhance all ambient sounds within Skyrim. There are preview videos of it if you follow the link, and I'm sure you'll agree it sounds absolutely fantastic. Currently only part 1 of 3 is out, and that is the Dungeons pack. As the name implies, it makes combat sounds much more realistic which adds to the immersion and realism. *Note: Skyrim just released the official HD texture pack. To me, this makes the game good looking enough that I don't necessarily feel the HD texture packs are required anymore for landscape and such. Not to mention my 1gb GPUs are already maxing out VRAM, and adding a whole bunch of texture mods besides these will just cause slow down. So if you're running 1.5 to 2gb graphics cards, I'll make special mention of a few mods near the end that will really add some eye candy. In the meantime, for people with 1gb cards of around 560 Ti or 6950 1gb performance or higher, these are some mods that will make the game nice without too much performance impact. Well, lo and behold, Bethesda released a patch that had errors. The most significant one I noticed is that logs in the fire looked bizarre. This is a simple patch that fixes the errors left behind, and I'm sure next official patch we won't be needing this anymore. In the meantime, it's good to have. By far this is one of my favorite mods. It doesn't use a post process injector of any sort, it simply makes the game look like vanilla, but better. It's especially great for dungeon crawling, as there is a lot more dark areas that makes things like torches actually useful. I love this one. For whatever reason, many places - indoors in particular - have this strange effect where lighting causes extremely noticeable shadow stripes. This patch fixes them. Very useful. As the title implies, this mod makes water look very realistic and gorgeous. Again, fairly obvious mod. Makes smoke and embers look awesome. Snow. It's everywhere in Skyrim. Might as well make it look really nice! Night skies have never looked better. Very, very cool mod. This is such a simple mod, with no performance impact. It makes the very distant terrain textures look more realistic, basically adding a bit of grainy/bumpyness to them. This mod just makes all armour textures higher resolution and sharper. Really nice. Whether you like this mod or not is up to you, but it makes the women of Skyrim much more attractive. This mod enhances female and male textures, making them look much more life like. Essentially it just smoothes out the mapping on faces. In particular, noses were bad. The Better Females mod has a version of this too, but I like to apply this one over top. Makes the Argonians and Kajiit appear much more realistic. Especially the Kajiit, their fur looks very realistic now. This mod is awesome, as it is a complete shield retexture mod, with all textures made from scratch. Looks fantastic. A fairly obvious mod, this makes all NPC clothing looks significantly better. It keeps the vanilla look of all clothing, but makes them look way nice. Another texture mod done by hand, this one improves the look of all weapons. Again, keeps that vanilla style but just makes them really fantastic. 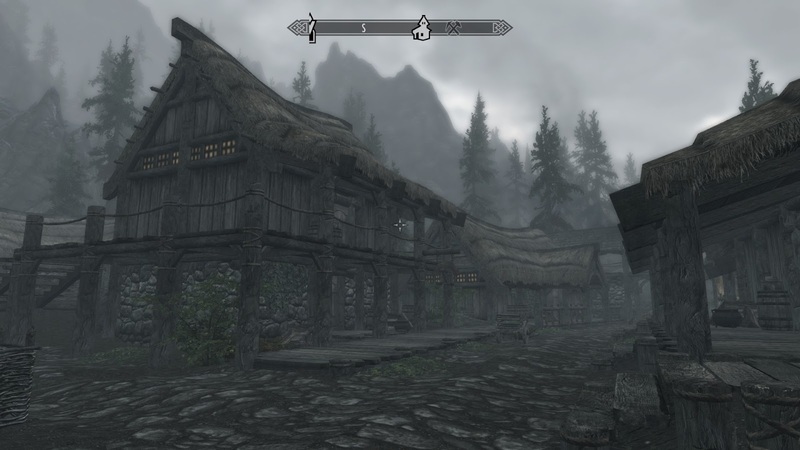 This mod just improves the look of all windows in Skyrim. The HD pack released by Bethesda doubled the resolution, but this one quadruples it and gives you smooth or gritty options. Like the title says, improves the look of most clutter and furniture. This one adds a few looks I'm not very fond of, though. I'd say use it at your own caution. 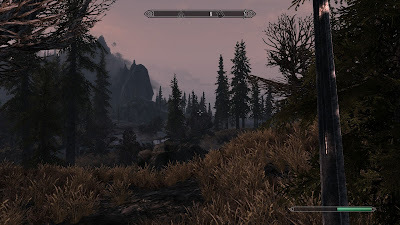 If you intend to use all these HD mods, I'd recommend installing this one first so the textures are replaced by the following. I really like this mod. Makes all furniture look awesome. Comes in a few flavours as well. This one makes some huge improvements to the landscape textures. Looks phenomenal. 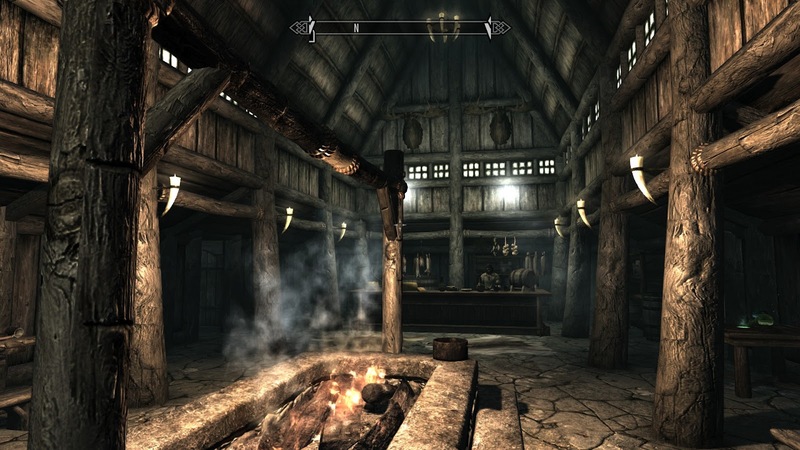 This mod makes many improvements across the board, from floors and carpets to walls and houses. This is one of my favorite HD packs. Makes nature look just stunning.